Elopement locations in New York! What is your dream wedding location? Build your all-inclusive wedding package today! The best places to get married in New York City include landmarks such as Central Park, Grand Central Station, City Hall, Brooklyn Bridge Park, and the Love Sculpture. Many of these places are free of cost to have a wedding ceremony or involve a very small fee for a permit. We are so excited that you have chosen us to plan your NYC wedding! 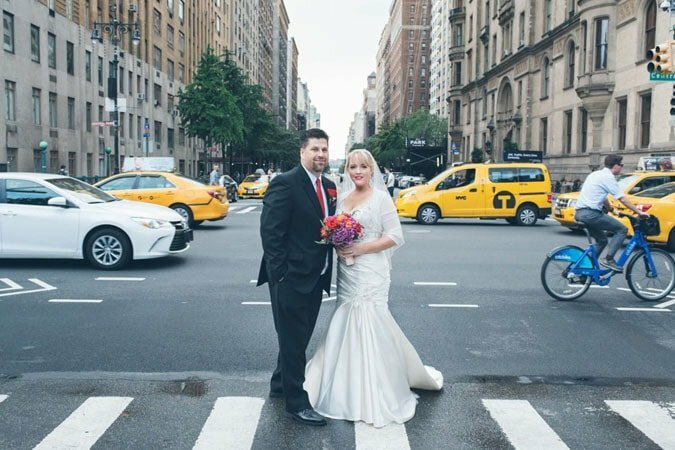 Let our NYC experienced elopement photographers and certified NYC wedding officiants inspire you with the best and romantic places for getting married in beautiful New York City. Central Park is one of the best places in New York City to get married. Beautiful, timeless, and quintessential NYC. Have just the two of you to up to fifty guests attend your Central Park marriage ceremony. Secret gardens, majestic trees, and classic architecture create the perfect wedding photos. 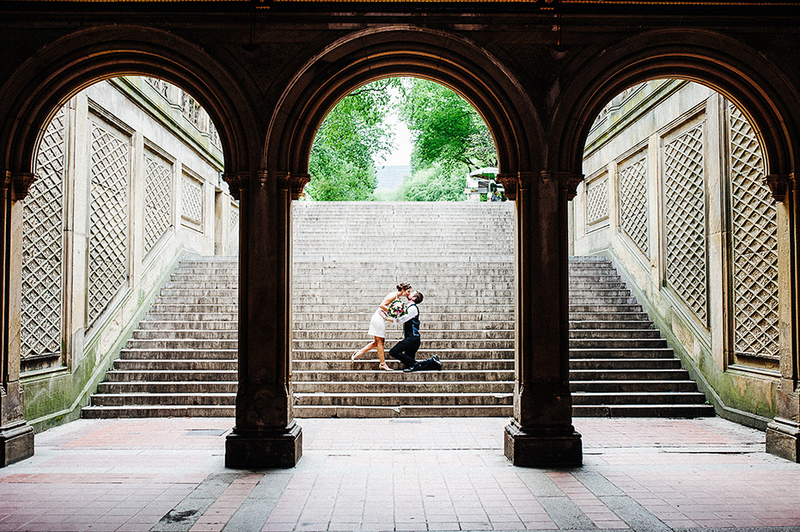 Plan your Central Park wedding today. A Brooklyn Wedding is definitely something to consider. Trendy, stylish, and one of a kind, Brooklyn is one of the best places to get married in New York City. Let’s head down to the Brooklyn Bridge Park to get stellar views of the Manhattan skyline and the Brooklyn Bridge. If you have never been to Brooklyn, take a look at our Brooklyn wedding photographs! Brooklyn offers some of the most unique and best places for getting married in NYC! Book today! 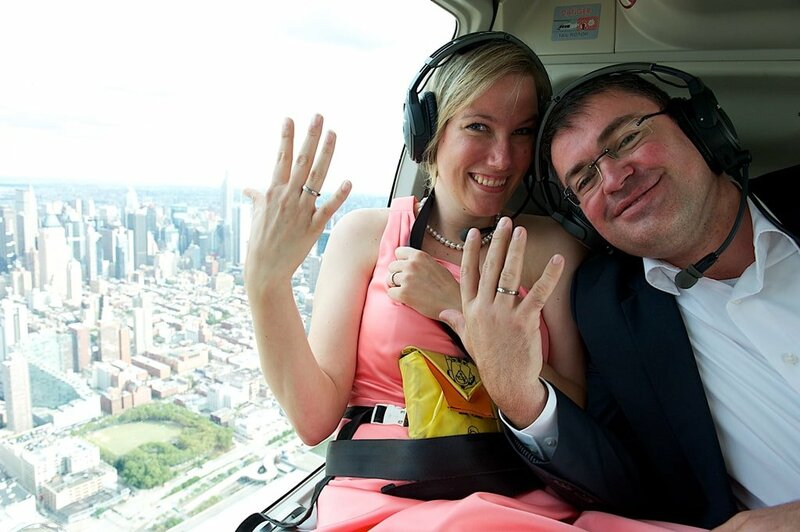 Elope to NYC and think Big! Start your journey together at the top of the most famous building in New York City. Let’s ride the high speed elevators to the top and have your wedding ceremony in romance central. With captivating 360 panoramic views of New York City, the Empire State Building is an ultimate NYC wedding location. If you don’t want to take a chance with the weather, one of the best indoor places to get married in NYC is right the heart of Manhattan. This magnificent and still functioning railroad station was immortalized in many movies and is the epitome of romance. 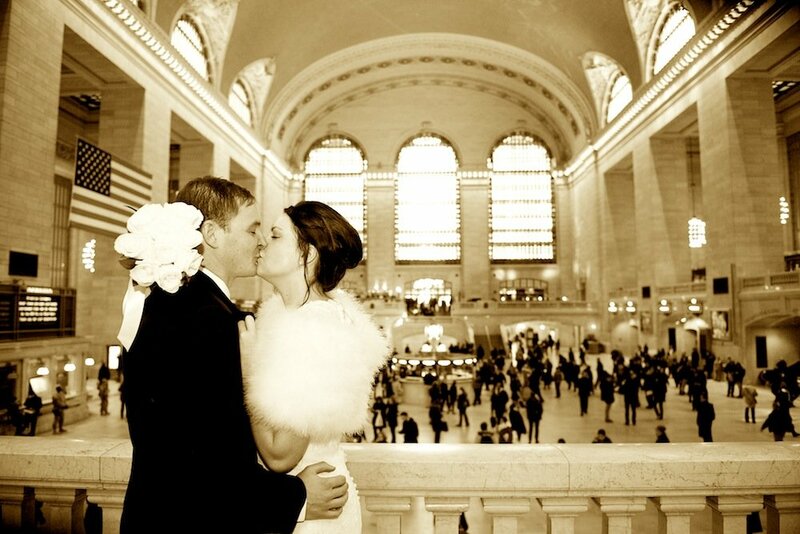 Grand Central Station is definitely one of the best places to get married in NYC. Create your own cinematic NYC wedding. We are here to make your dream wedding happen. Want to say your vows on a roller coaster in Coney Island or throw a backyard BBQ? How about a helicopter ride or a hot air balloon ceremony. Whatever your dream NYC wedding is, let’s make it happen. Book Your NYC Wedding or All-Inclusive Elopement Package Today!